"Put the BOOM into BLOOM. Get swept up into spring with a petal-powered collection – and keep the bloom alive! The limited-edition lineup – featuring exclusively designed sakura-printed packaging – includes cherry blossom-scented Prep + Prime Fix+, High-Light Powder, Lipsticks, Lipglass and an Eye Shadow x 9 palette." 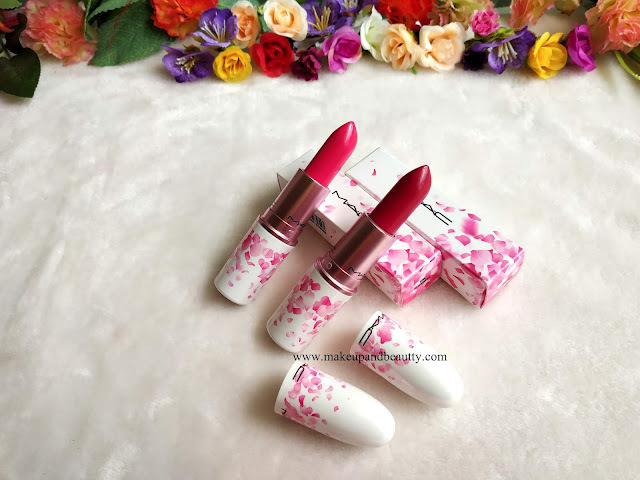 Finally, MAC BOOM BOOM BLOOM launched in India in a most disappointed way. 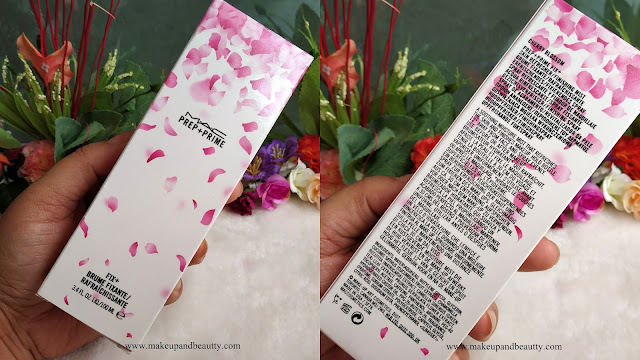 The collection is so pretty that it had to be in the limelight but MAC INDIA (don't know why) was busy endorsing "DISHA PATANI" collection which consists of all the same old cult products that we Indians are using from our ancestor's time. Yeah, a big "LOL" for this endorsement. 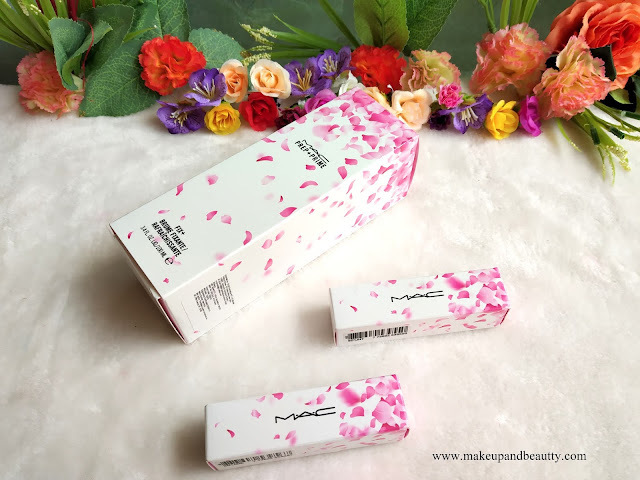 And so we mac lovers miss the launching date of MAC BOOM BOOM BLOOM COLLECTION in India as Mac India forgot to mention the date in their official page. But thankfully we managed to grab what we were looking for from this collection...anyway let's have a look into the collection. MAC BOOM BOOM BLOOM is spring collection so the entire collection has spring vibes which is one of the main reason for grabbing products from this collection. From the entire collection, I picked up three products two lipsticks and a fix plus. 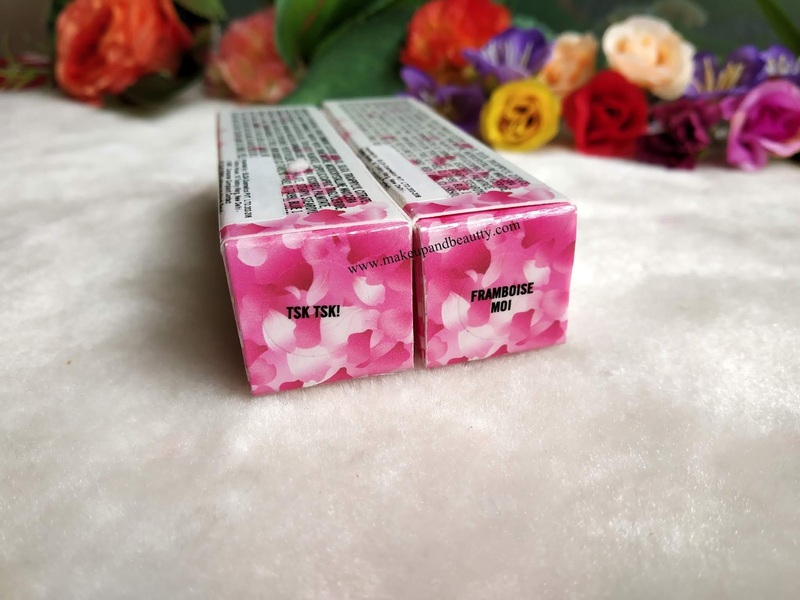 Starting with the packaging, both the lipsticks come in beautiful floral packaging. It looks so pretty packagingwise that I feel like flaunting them in my stash. 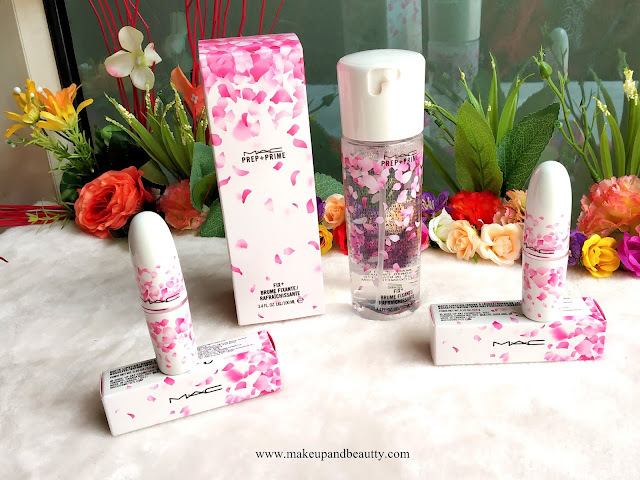 The white packaging(which is definitely not matte but pearlized one) with flower petals print on it is just a perfect spring collection. 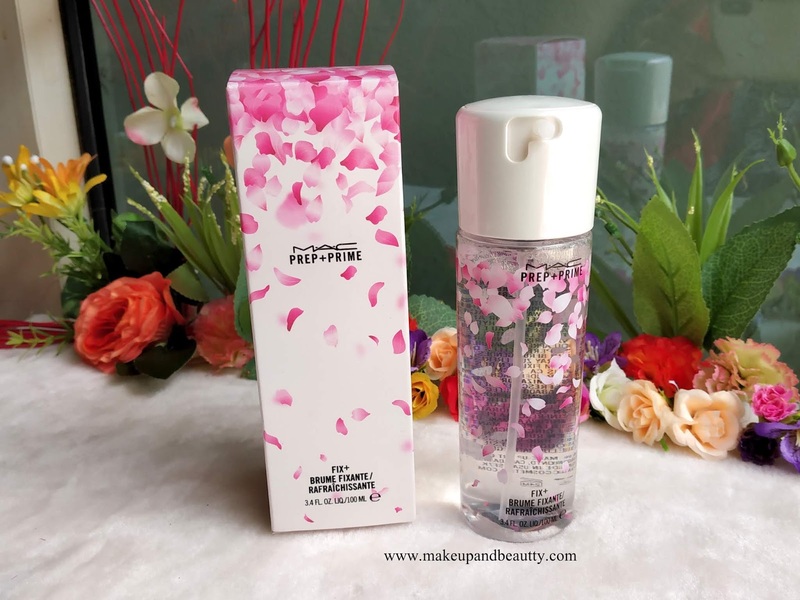 The fix plus bottle is transparent and on it, there is also flower petals print which looks so cute and beautiful. Packaging wise Mac just nailed the collection. An exclusive lineup of five pink and berry hues to complement every skin tone. The iconic product that made M∙A∙C famous. 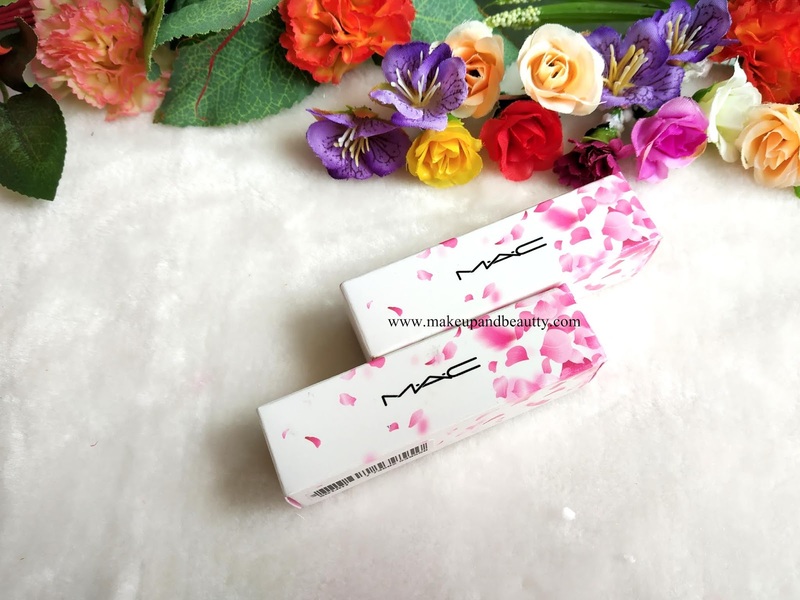 Features special-edition sakura-printed packaging. 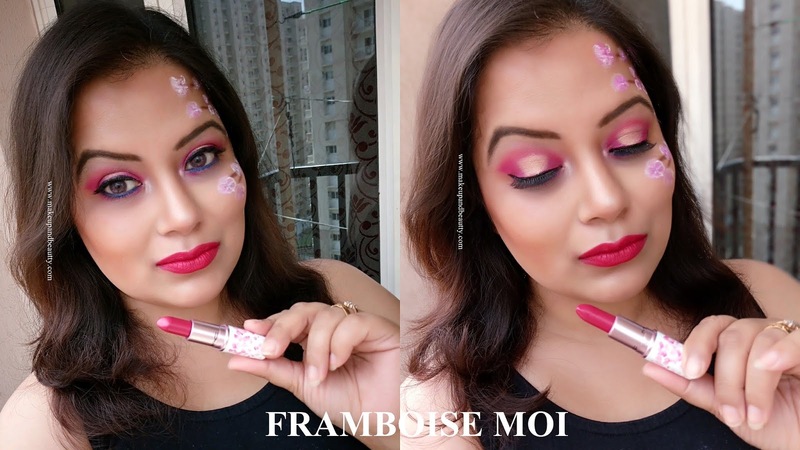 Starting with the lipsticks, the two lipsticks I picked are TSK TSK and FLAMBOISE MOI. Both the lipsticks are matte and most selling shades in this collection. 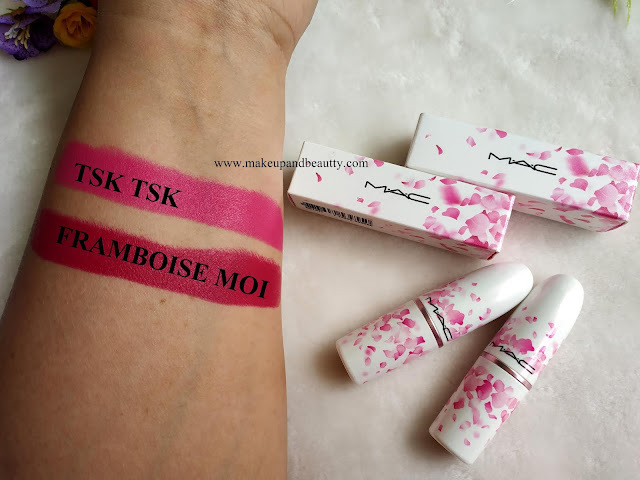 TSK TSK is a warm pink shade and FRAMBOISE MOI is raspberry pink shade. Both the shades are equally beautiful. They glide smoothly on my lips. 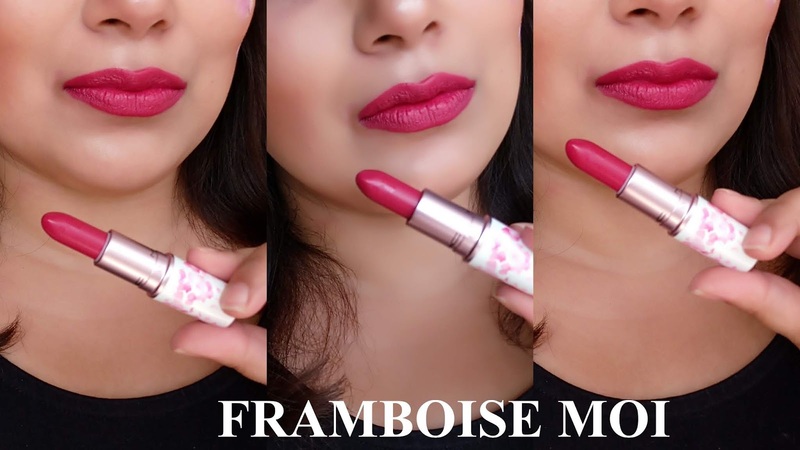 But I feel the shade FRAMBOISE MOI is a versatile shade which will look good across all skin tones. And this shade glides little more smoothly on my lips than TSK TSK. 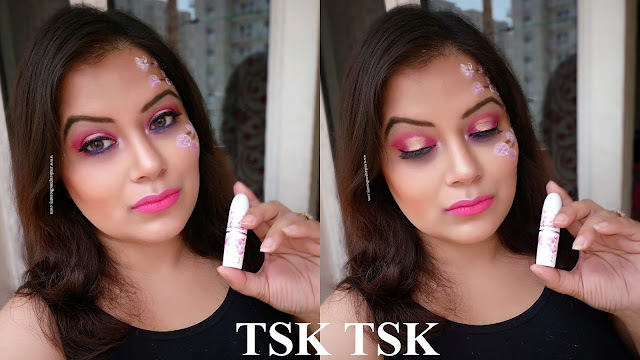 TSK TSK will look good more on fair to medium skin tone with a warm undertone. Overall I love both the shade of lipsticks but my favorite is FRAMBOISE MOI. A lightweight mist of water packed with vitamins and minerals to gently soothe and refresh the skin. Gives an instant boost of hydration while delivering a soft sheen to refresh and finish makeup. 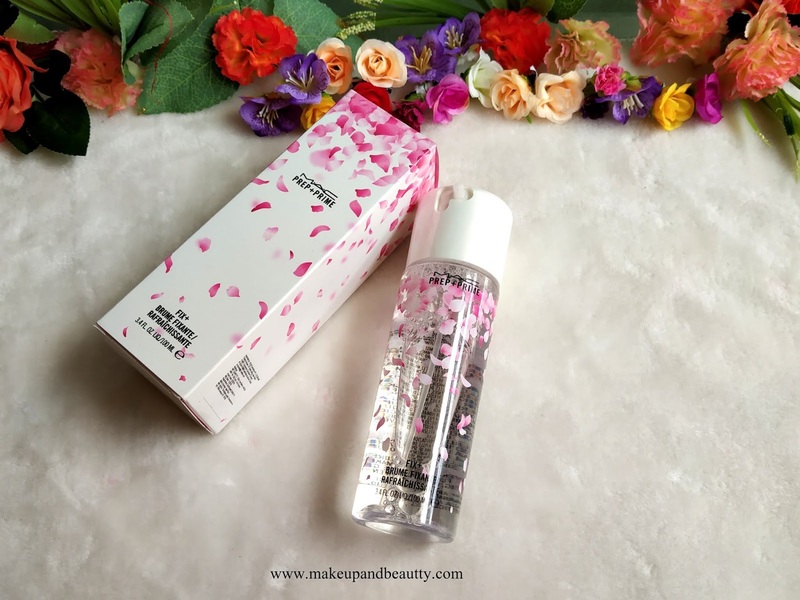 This holy grail of hydrating mists can be used with other products in near-endless ways – to improve the wear of makeup up to 12 hours or to moisturize and soothe tired skin. A delicious twist in a fresh cherry blossom scent with sakura-printed packaging to match. Can go anywhere and can be used at any time of the day or night. Prep + Prime Fix+ comes in a transparent bottle. It has 100ml of product. 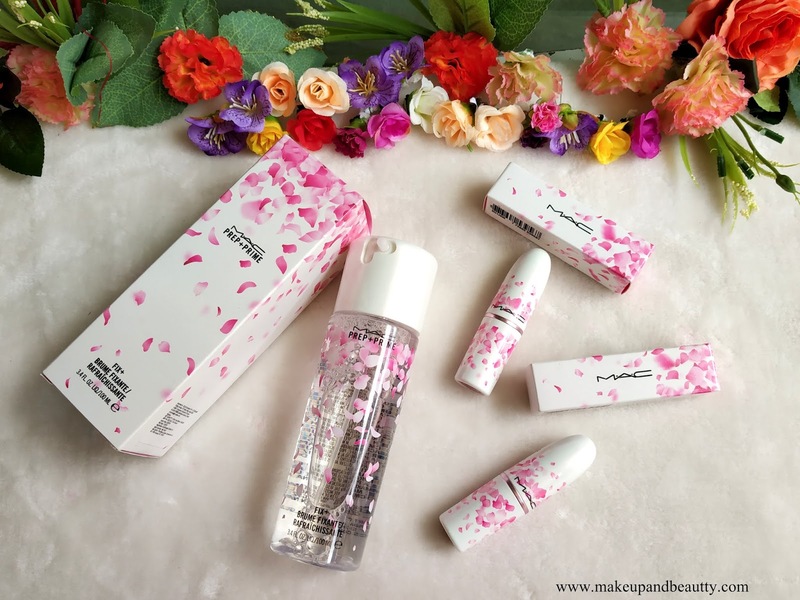 The fragrance is just pure cherry blossom. Once you spray the fragrance lingers for hours which is for the first time I am experiencing something like this as my other fix plus fragrance don't linger for hours. It makes my skin feel fresh and hydrated in just a few sprays and it is just perfect fix plus for this summers. 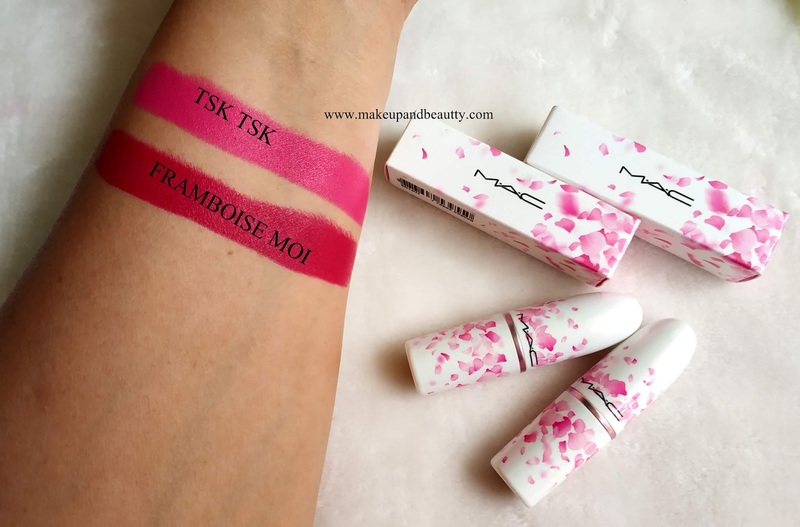 Overall I love the collection, although few people think MAC keep on launching the same shades in the different collection which is a somewhat little bit true. But this collection has few products which I feel are unique like that Prep + Prime Fix+ and the lipstick shade FRAMBOISE MOI. 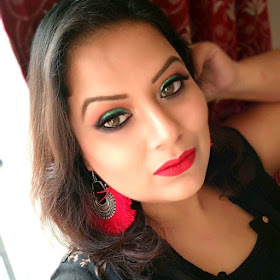 You look stunning.. love your makeup here and you are carrying both the shades beautifully..
Wow beautiful collection from Mac.